Looking for a perfect spot for your date? Looking for a place to hang out with your friends? Looking for great ambiance? Want to have an open sky while you dine? Live music? Amazing food experience? In short looking for an impeccable experience? That too while not burning a hole in your pocket? I have been to this place n number of times, and every time I visit this place they have never let me down be it their quality of food, their timely service or their greeting etiquette. Everything just adds up to an “amazing experience”. We got this chance to review this place last week and it was indeed a blissful experience for us. We were left frozen with their lollipops, amazed with their shakes and spellbound with their Maggi momos. 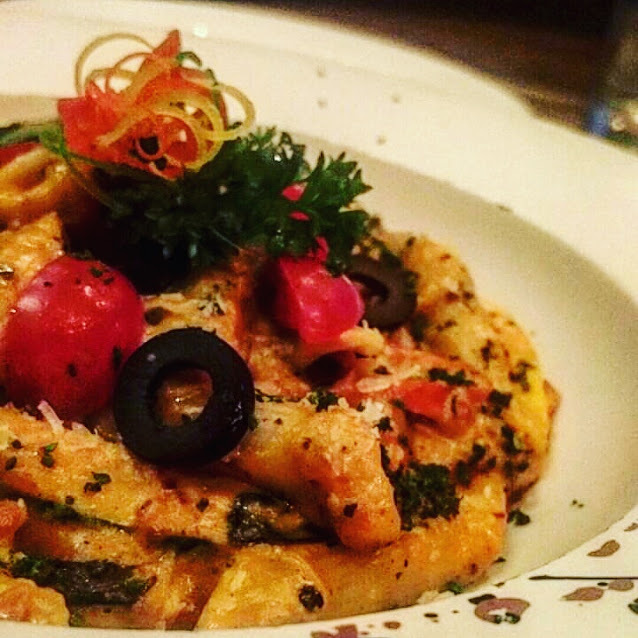 We tried their mix sauce pasta, it was indeed top notch. Be it texture, ingredients, or balance between the sauces used. All the ingredients harmonized, and it was delicious. Bailey’s Churros was the dessert that got my attention, It had a crisp dark brown colour, glazed with sugar, the dish promised to be the perfect way to end our meals with. 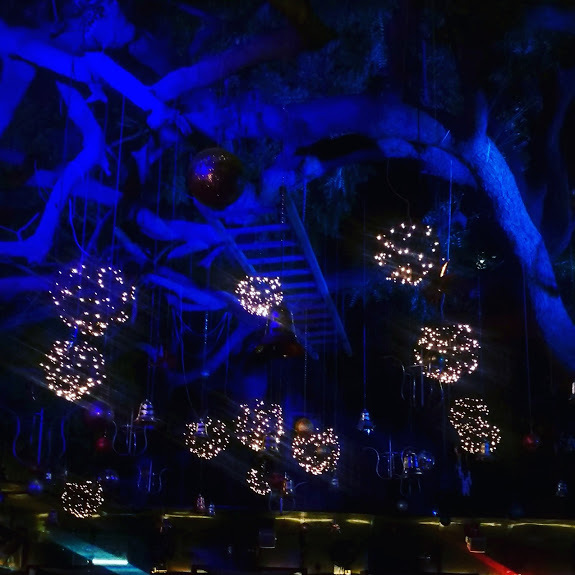 There are very few places in Delhi where you get an outdoor seating arrangement with an old big tree around, beautifully lit and their props hanging on the tree. Everything seems so magical and makes it a perfect place for a romantic date. I have had different types of momos but this was the first time I had maggi momos. Their black bean sauce with Maggi momos are worth a try. They have this dish “Brownie Ke Pakorey”, Innovative right? ,I could not try this, but the next time I visit this place I surely will. The place never fails to bring a smile on our face, be it their food or lovely interiors or just the service. They play amazing music as well. A special mention to the live band Pooja and Pranay which just adds the right feels to the place.